I was a guest along with a fine gentleman named Mike Sangregorio, a Morrison maven and sometime comics journalist. We discussed all the titles that made up the epic from 2006 through 2013 and you can listen here or here. It was a really great talk but after we chewed a lot over, Mike had something of an epiphany regarding The Return of Bruce Wayne, perhaps Morrison’s most challenging and opaque arc within the span: Piecing all the clues together, Mike’s determined that Morrison remade Batman’s origin — by making Darkseid responsible for sending that bat through Bruce Wayne’s window as he pondered his future. 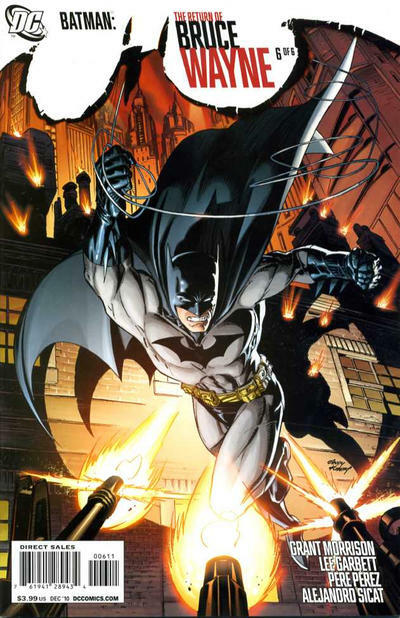 During our recording of Flat Squirrel Tales, we discussed Grant Morrison’s The Return of Bruce Wayne, a mini-series from the latter half of his seven-year Batman run. If you’ve never read it, then you may not be familiar with the way Morrison out-Morrisons himself during that particular story. It is a confusing, but rewarding arc, even if it does take a second (or third) read-through to process. For what my fellow panelists and I thought of it, give the episode a listen, but as the go-to Morrison fan of the Batriumverate, I began to rethink some of the more esoteric bits of his run — especially ROBW — to see if I could give a quicker, more satisfactory answer as to why his stories are worth reading more than once. One that particularly grabbed my attention was: What exactly was going on with Batman, Darkseid and the Omega Sanction? At the conclusion of the tangentially related story Final Crisis, Batman kills Darkseid by shooting his now-human form of Dan “Terrible” Turpin. 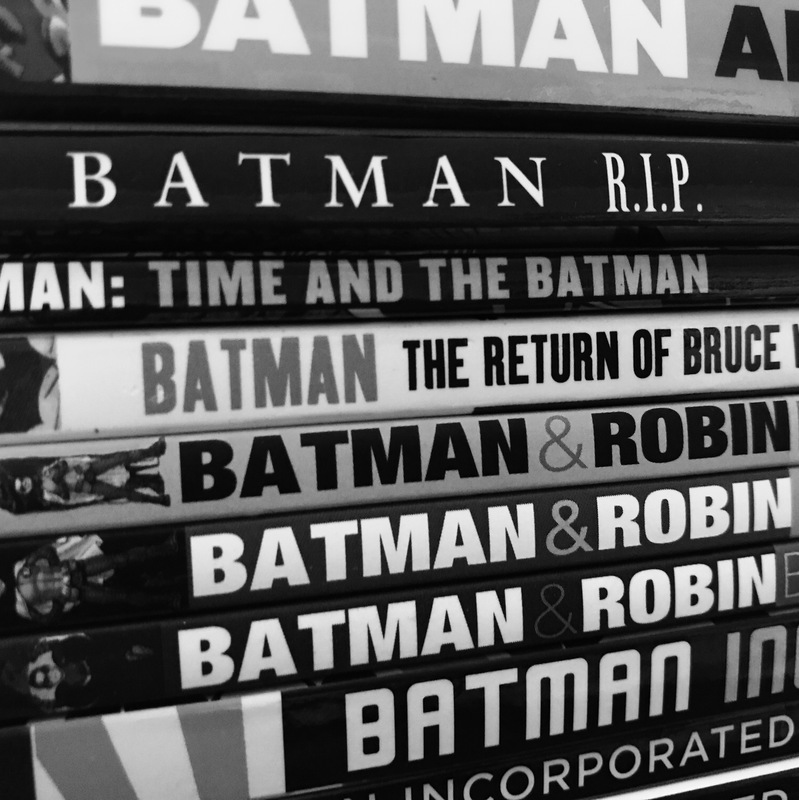 Batman is then thrown through time where — as shown in The Return of Bruce Wayne — he has a series of adventures and, eventually, returns to the present seemingly none the worse for wear. Why was Darkseid’s trap not able to prevent Batman from returning and continuing his war on crime? I think the answer is that, technically, Batman stopped Darkseid from getting what he wanted … before they even met. How? Because it was Darkseid who set loose the bat that crashed through the window of the Wayne Manor study — and Bruce made the decision to adopt it as his symbol. Prior to Final Crisis, Darkseid’s weapon of choice were the Omega Beams. These Kirby-infused lines came from his eyes and removed anything they came in contact with from existence. On his deathbed in Final Crisis, the Lord of Apokolips expanded his brand to create the Omega Sanction. In place of a single attack, this is a weaponized idea, something that can do as much damage to the nature of what Batman means as it does to the man beneath the cowl. 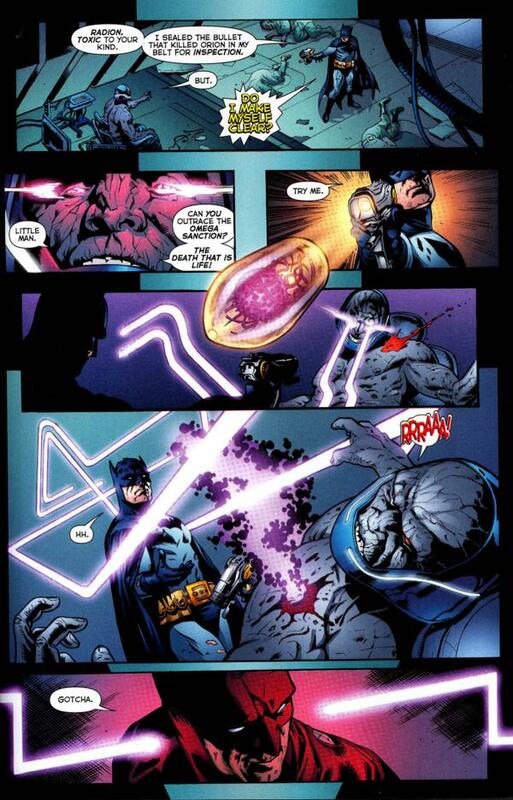 When Batman breaks His One Rule by shooting Darkseid with a gun, he uses a “bullet from which all others are descended from” to kill the God of Evil. To fight Darkseid and overcome his malevolence, Batman wages a war using better ideas than those of his enemy. Darkseid responds by turning the very Bat-mythos against him. Throughout The Return of Bruce Wayne, we see the once and future Batman deal with a variety of Bat imagery as he’s pursued by Darkseid’s Hyper-Adapter, a sort-of shape-shifting/body-possessing entity that the Lord of Apokolips unleashed upon his death. (One major example: Bruce’s ancestor’s cult seeks to raise Barbatos, the Bat-demon, from Hell — but in actuality it’s the Hyper-Adapter. The entire DC Universe is fighting Barbatos right now in Metal). At the same time, if Batman returns to the present, the universe will be destroyed. The Wayne Manor study scene — which provides the core of the Batman symbolism — is central to the climactic ROBW #6. A reasonable conclusion is that the Hyper-Adapter had taken the form of the bat itself. 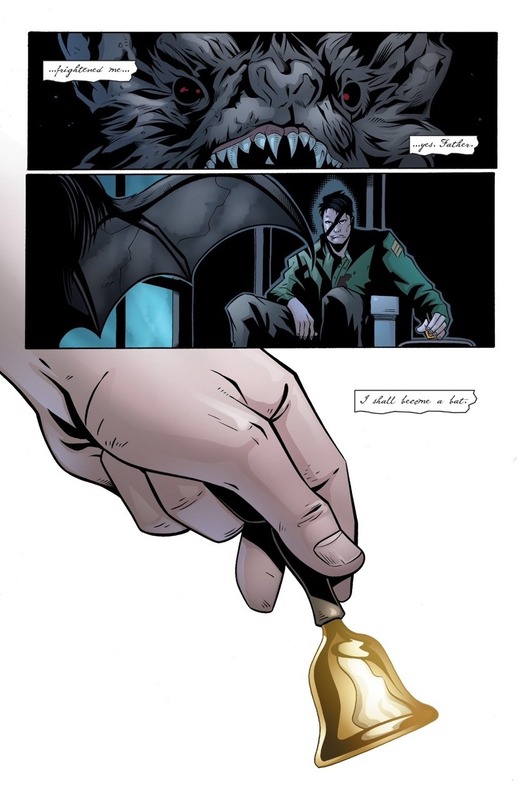 But Bruce is able to overcome all of his various obstacles — and avoid destroying the universe — by choosing to make the bat a part of himself. As soon as Bruce Wayne says, “Yes, father, I shall become a bat,” he embraces his enemy, this thing he feared. He makes the choice of becoming Batman a magical act that removes the power from Darkseid’s attack — and Bruce defeats an adversary that he would not meet until years in the future. Before you dismiss this as crackpot rambling, consider Morrison himself: He did something quite similar in The Invisibles when he had the hero, Jack Frost, defeat the main villain by absorbing him into himself (he literally swallows him whole). Morrison’s work is filled with ideas that many would consider out-there and his Batman run is no exception. I enjoy the work immensely and when I can draw conclusions such as this it helps me appreciate Batman the character and franchise even more. MORE: To listen to the podcast Flat Squirrel Tales: Beyond My Comic Shop episode on Morrison, click here or here. I’d like to follow this. What would be the order of theTPBs?